We’re always looking for great gift ideas to pass onto our brides. 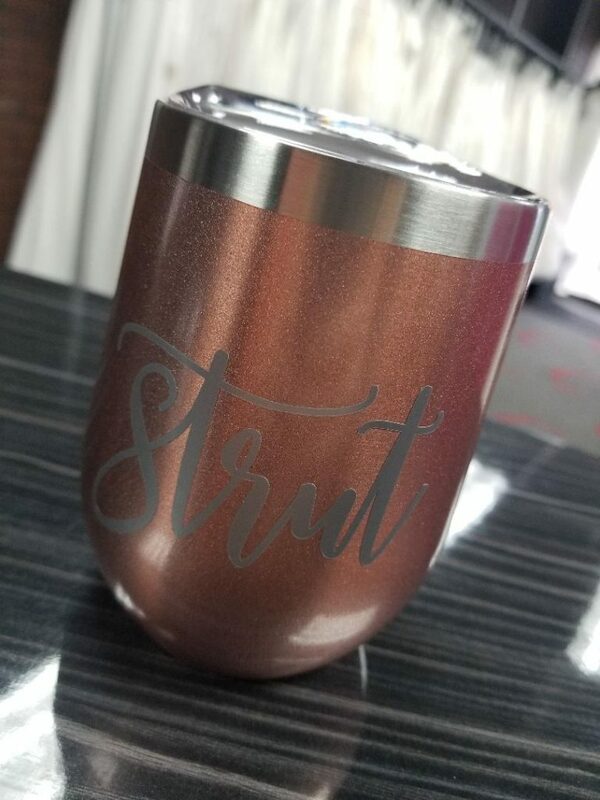 Sometimes it’s hard to find the *perfect* bridesmaid gift for the gals in your life that have been there for the big things…. and are standing up on the biggest day of your life! So imagine our surprise when we were gifted this gorgeous wine glass from a site with awesome bridesmaid gift ideas! This stemless insulated wine glass is perfect for floating down the salt river or a trip to the beach. It holds 12 ounces, which is like 2 glasses of wine. Ours came personalized, making it the cutest gift idea ever! We poked around the site, Bridesmaid Gifts Boutique, and found super cute floral robe sets, too, and ways to ask your best gal pals to be your MOH or BM. Check it out and let us know in the comments what you love!